What's Your Inspiration? The Movies! I love to watch movies—and any HBO series-- set in the medieval era anywhere in the world. As a history buff, I keep an eagle eye on the historical accuracy of everything from knightly armour to peasant dwellings but as a fabric fanatic my true obsession is the clothing. Although I've been going through withdrawal from “The Tudors”, Sunday night I got a new fix-- “The Game of Thrones”. I had to run for my sketchbook right at the opening credits, which swirled together steampunk elements with fantastical maps like those from the Lord of the Rings trilogy. Some of my special favorites are Chinese historical epics, with their costumes layered with color and texture, the tapestries, the artifacts, even the fanciful and ornate armour. Last week my husband and I found a little gem, “The Curse of the Golden Flower”, set in 982 during the Northern Song Dynasty. The story was destined to end in tragedy but the visuals were full of eye-popping color and the costumes rivaled the Tudor era in sheer opulence and complexity. We watch the character of the queen pick through a selection of yellow gold filigree hair ornaments that enhance her gold-embroidered damask gown then the camera follows her down a hallway draped in 40 foot tall silk hangings in rainbow-hued silks as her entourage proceeds to the throne room. I felt drunk with visual sensation! With this as my background inspiration, this month's Art Bead Scene challenge-- Finches and Bamboo (from the same era as my Chinese epic)-- begged a lavish interpretation. 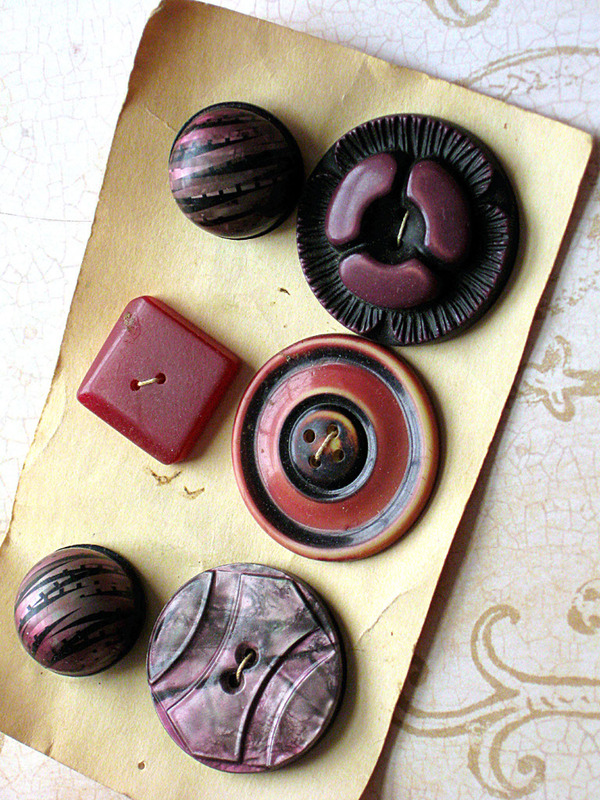 Lately I've been working on a series of necklaces featuring large central focals of layered, textured and antiqued polymer clay. I incorporate wire, vintage metal findings and antique buttons in these. And I've been playing with some unconventional ways to color the clay-- oil pastels, oil paints, colored pencils and gilders paste. My original idea was to create a ruffle of lightweight silk around the edge of the base polymer disk but my efforts reminded me of a horse show ribbon. On to Plan B. As I dug through a stack of articles from various magazines, I found one by Hadar Jacobson about using the inside of a sand dollar shell as a texture plate. I've been liking the effect of combining organic and formal textures into one element, so that became the base, colored with Prismacolor pencils and a touch of acrylic paint. 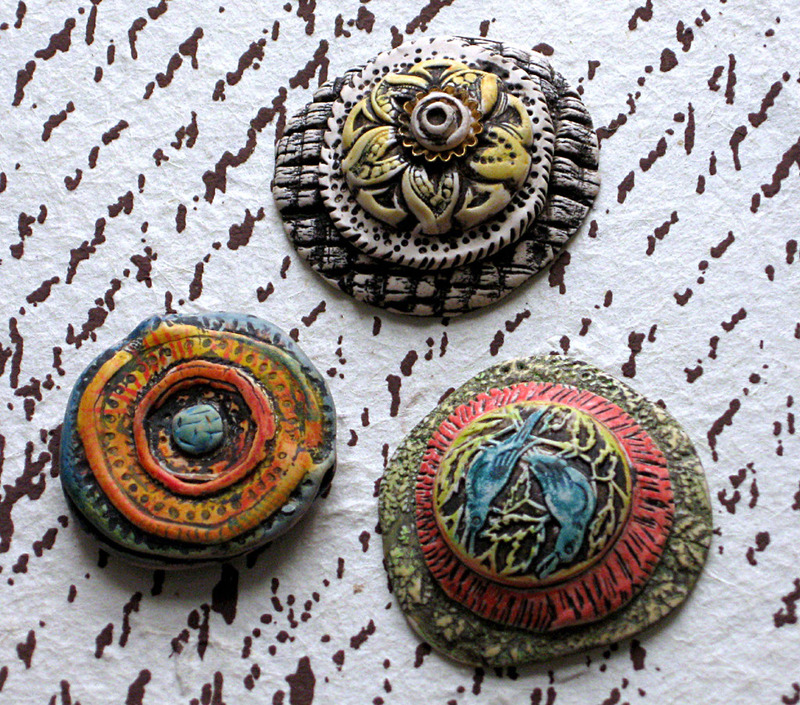 Next I created a two-layer base-- again with one organic and one ornate texture-- for the molded bird button in a metal bezel from JemsGems. 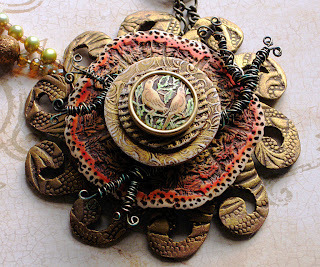 I've been incorporating twisted wire into my pieces lately so I added a layer of antiqued bronze wire as abstract branches, another nod to the finches of the painting. I had planned to use some vintage metal findings separated by bronze twisted chain for the stringing on the right side so I drew a base plate design based on the findings' scroll motif. I impressed the clay with a texture plate I made from a piece of dimensional scrapbooking paper I found at Michael's, used my scalpel to handcut the scrolls, cured the clay and then patinated it with gilders paste. Using a bronze-brown clay as the base color made the patination stand out and accentuated the texture. 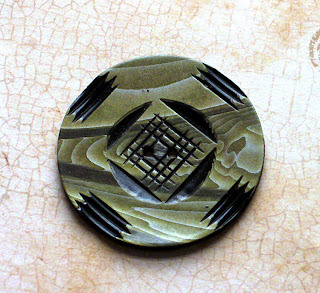 I made up some accent beads using mokume gane for the polymer veneer, this being a technique borrowed from Japanese metalworking. 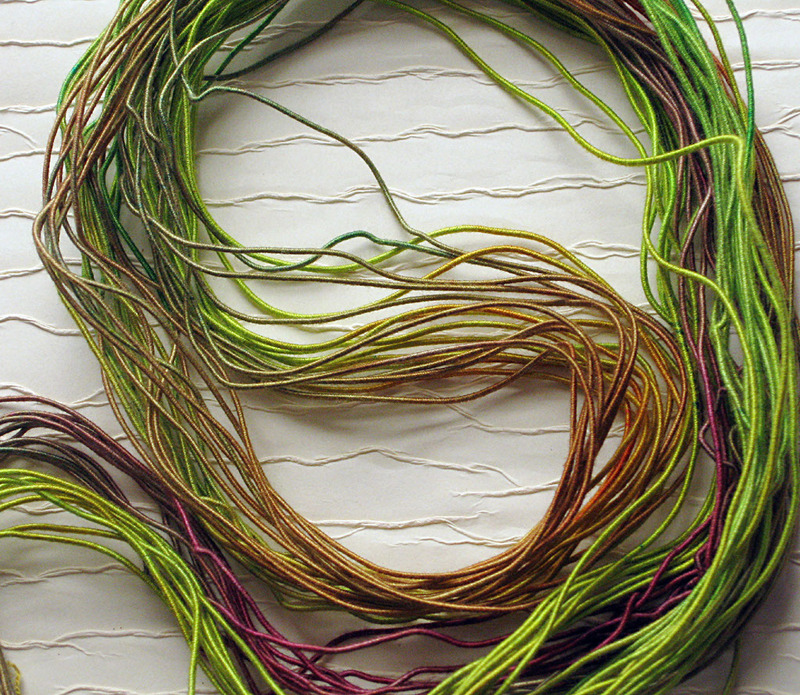 The pearls were a happy find in my stash-- they were the exact color of the bamboo leaves from the Challenge's silk painting. I finished up with vintage chain from One Piece at a Time and a vintage clasp from Jems Gems and I was done. I was pleased and honored to find that editor Heather Powers picked my necklace for the Designer of the Week this past Monday. Thanks, Heather and the rest of the ABS editors! 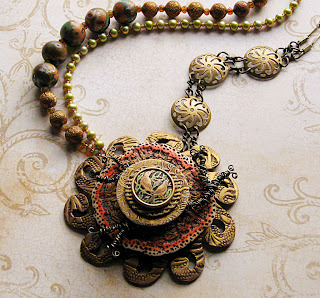 I will be teaching a class at ArtBliss in September 2011 in this technique of layering textured and antiqued polymer elements with found objects and metals. Cindy Wimmer and Jeanette Blix, the co-founders, tell me that there will be class descriptions and more information about the instructors up on the site in the very near future. Guess I'd better get mine written and submitted! This September's ArtBliss promises to be as exciting, informative and inspired as last year's inaugural event, so it's an occasion not to be missed. 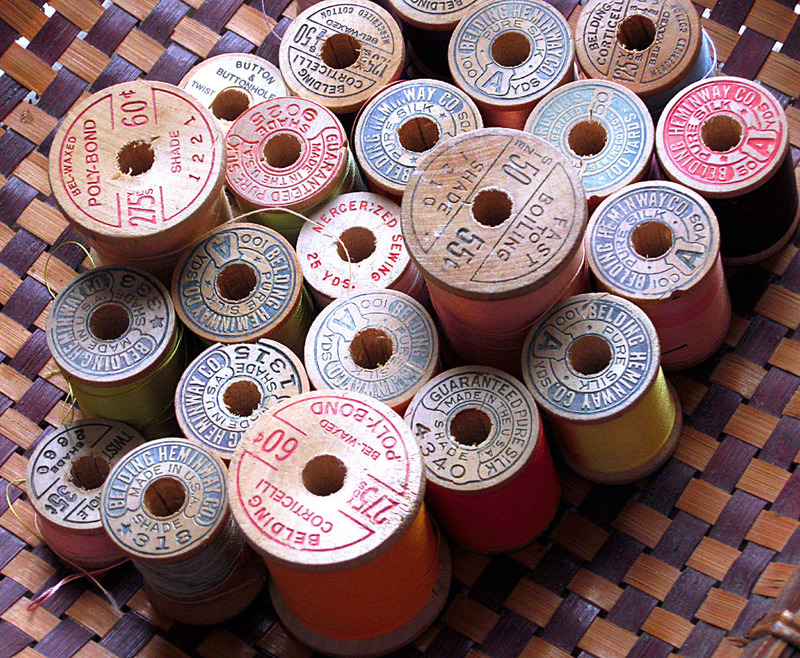 Like most jewelry artists/designers I know, I am addicted to beads and tools. The tool obsession we will address in a subsequent post-- beads, however, are ingredients, just as butter, sugar and chocolate are ingredients for a baker. You need ingredients to make a bracelet just as you would to make a batch of cookies and when inspiration strikes is not the time to go to the store. You need these things in your jewelry “pantry”, just as much as Martha Steward stocks bars of semi-sweet Valhrona. So shopping—either on the Internet or at a yard sale or an antiques mall-- is a necessary and valid pursuit of your time as an artist, as I frequently tell my spouse. Browsing is mandatory. 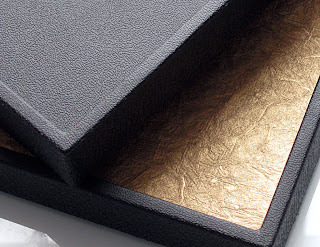 You may not be planning to buy but you have to see what's out there, add links to your Favorites file or maybe print out some photos for your sketchbook. I just spent a productive couple of hours perusing the fabrics on Quilthome.com. If you aren't inspired by the colorways of Kaffe Fassett's fabric line, I would suggest holding a small mirror over your lips to see if you are still breathing! And the colors aren't even the best part--I printed out no less than five or six pages on my black-and-white Canon printer as pattern prompts for future design projects. 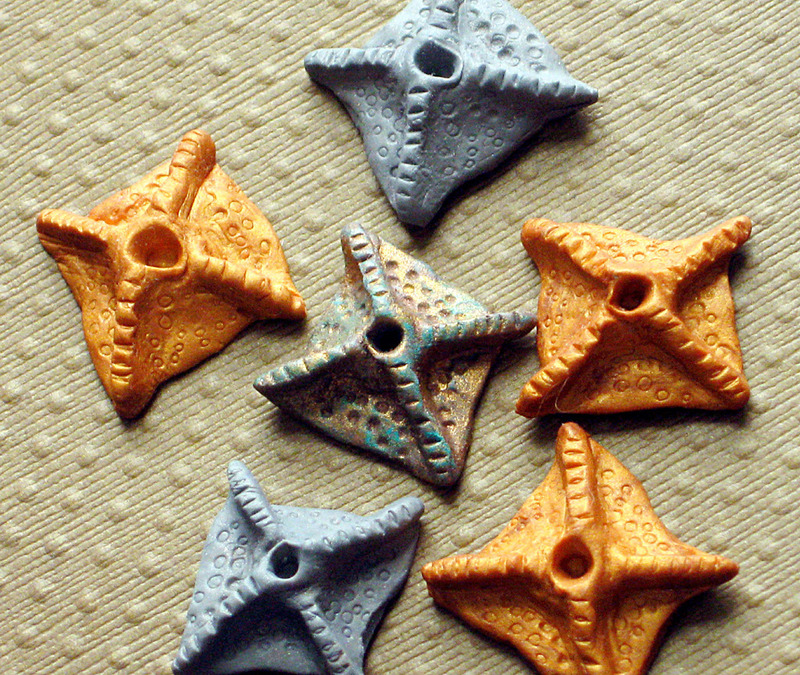 Polymer clay beads in various stages of antiquing-- stars? 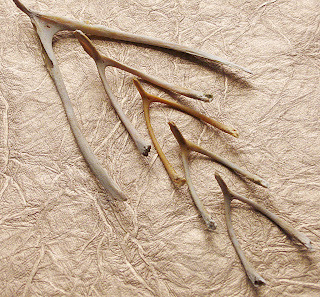 chicken feet? As I constantly play around with new ideas in my polymer work, I'm always doing little experiments and making things which then lay around my studio in various boxes waiting for inspiration to strike. They, too, are ingredients. As my refurbished studio comes together, I just wish I could find a better way to organize them. The 1” high plastic presentation boxes below, from Bellandaria Designs I fit with white nubbly shelf liner so they keep designs in progress from becoming disarranged while the boxes stack neatly on my shelf. They can also be strapped into a trolley that Bellandaria sells if I need to cart them to a gallery or an appointment with a buyer.